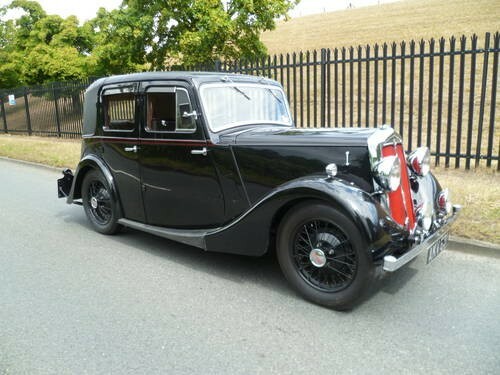 For Sale – LANCHESTER LIGHT SIX DELUX SALOON by Mulliner (1935) | Classic Cars HQ. LANCHESTER LIGHT SIX DELUX SALOON 1935: Black with Maroon hide interior. 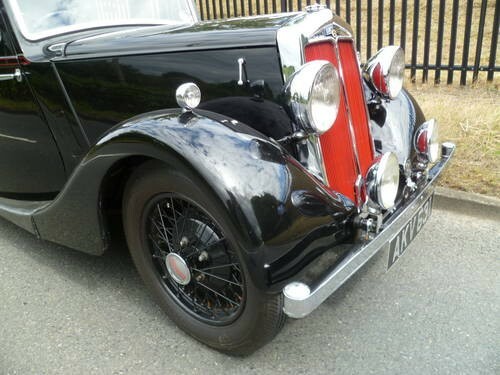 Black wire wheels. 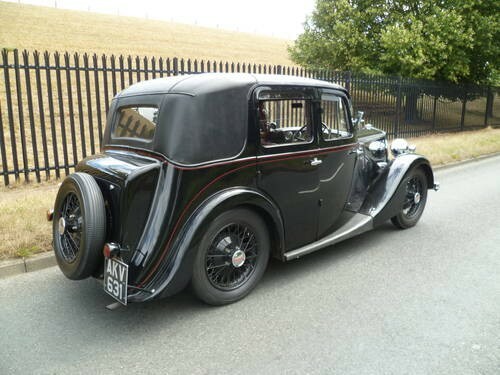 Mulliner bodywork. Straight 6 1.4 ltr engine with pre-select gearbox. Sliding sunroof. Red radiator grill veins and pin-striping. Lovely throughout.